A quick explanation on the word Misthios and what it means in Assassin's Creed: Odyssey. If you recently started playing Assassin’s Creed: Odyssey, you may find yourself wondering what “Misthios” means. In Assassin's Creed: Odyssey, there’s a plethora of Greek terminology and lore with Misthios being one of the first terms you encounter. The game briefly mentions what a Misthios is, but it can be easy to miss as you're acclimating to the latest installment in the Assassin's Creed series. To help you out, we put together a quick guide that will help explain what Misthios means in Assassin's: Creed Odyssey. What Does Misthios Mean in Assassin’s Creed: Odyssey? The word "Misthios" refers to both Kassandra and Alexios in Assassin's Creed: Odyssey. A question many players have is what “Misthios” means in Assassin’s Creed: Odyssey. To answer this question, Misthios is a Greek term that pairs with the game’s setting of Ancient Greece. When it comes to Greek history, a Misthios is someone with a particular set of skills that can be hired for work (typically in jobs relating to those skills). In Assassin’s Creed: Odyssey, Misthios refers to a type of mercenary as per the game’s main storyline. Regardless of whether you choose to play as Kassandra or Alexios, the story will center around your chosen protagonist setting out for revenge after their family is killed. Additionally, both Kassandra and Alexios are referred to as a "Misthios." Interestingly enough, Misthios can also refer to the descendant of King Leonidas of Sparta. In the game, both Kassandra and Alexios are related to Leonidas as grandchildren, making this definition of Misthios equally applicable. The origins of Kassandra and Alexios are further expanded upon throughout the game's story, though we don’t want to spoil anything for you. In summary, Misthios means is someone for hire; in this instance, a mercenary. 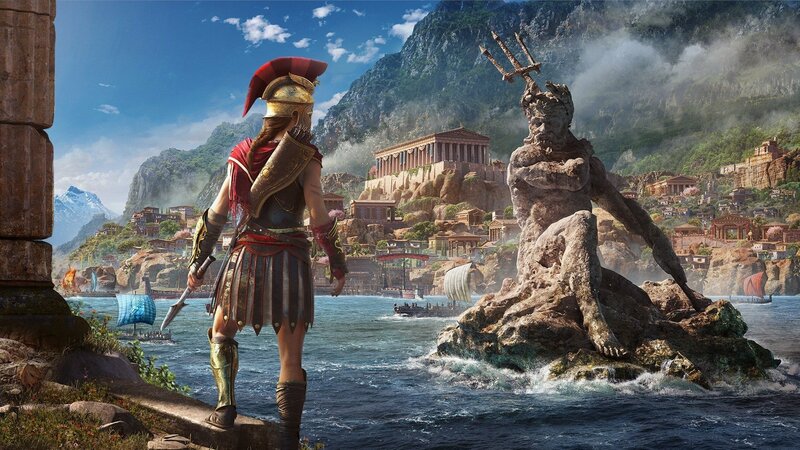 For more on Assassin’s Creed: Odyssey, be sure to check out some of our previous guides including how to craft arrows in Assassin’s Creed: Odyssey, how to pass time by waiting in Assassin’s Creed: Odyssey, and how to use the Photo Mode in Assassin’s Creed: Odyssey. By reading through this guide, you should now know what Misthios means in Assassin’s Creed: Odyssey.